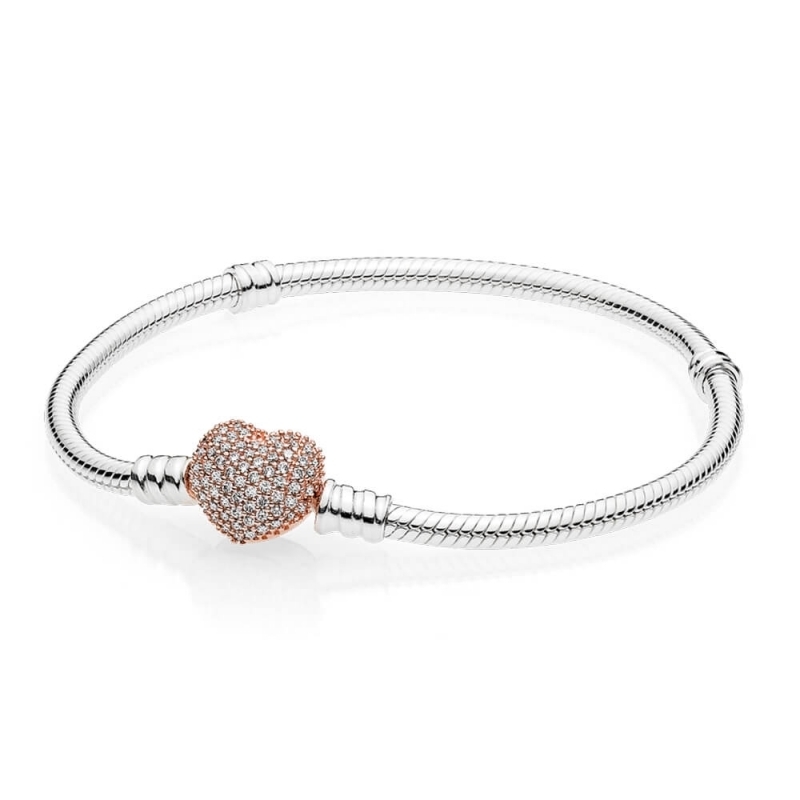 PANDORA Moments Silver Bracelet, Rose Pavé Heart. Sterling silver bracelet with a PANDORA Rose heart clasp which is beautifully embellished with pavé set sparkling stones. Thank you for your feedback. We're delighted that you are happy with our service, and hope your Fiancee loves their new PANDORA February Birthstone Charm.